How to guard against utility scams video below. U.S. Reps. Brad Wenstrup (R-Ohio) and Tim Ryan (D-Ohio) have introduced a resolution designating Nov. 16 as Utility Scam Awareness Day. It is part of a week-long campaign focused on identifying the tricks scammers use to steal money from customers, and how customers can guard against this. Duke Energy and more than 80 gas and electric utility companies across the country and Canada have joined forces to launch this campaign to protect customers from the long-running scam targeting customers of utility service providers. Duke Energy also held a press conference with Better Business Bureau in Matthews, N.C. today to address the growing issue of utility scams. This is an advertisement. 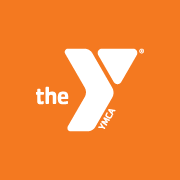 Campbell County YMCA. Content is being shared through social and traditional media, customer and public communication channels. § The thief becomes angry and tells the customer his or her account is past due and service will be disconnected if a large payment isn’t made – usually in less than an hour. § The thief instructs the customer to purchase a pre-paid debit or credit card – widely available at retail stores – then call him or her back to provide the card information to supposedly make a payment to Duke Energy. Some scammers may request a money wire or money order. The company continues to enhance its efforts to educate the public. As part of the Utilities United Against Scams collaboration, communications are planned through the week of Nov. 14 through the website, upfront messaging at customer call centers, customer email, video, media and social media campaigns and content.